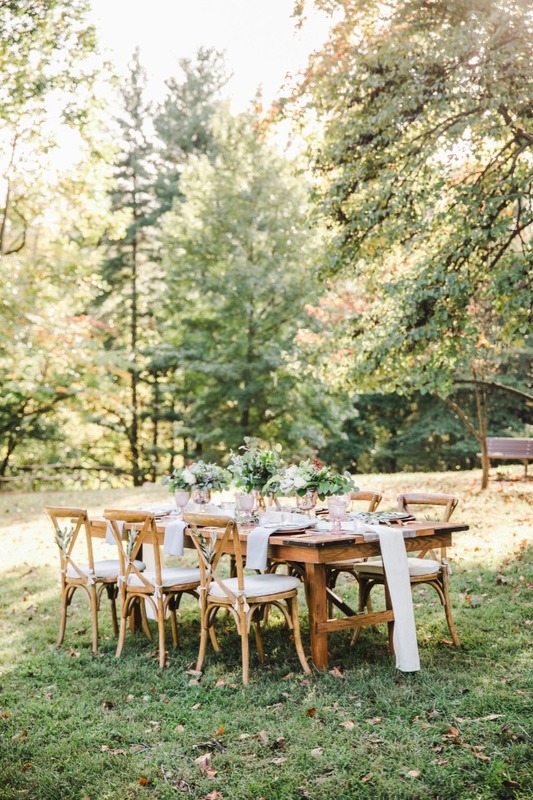 For all of those nature loving couples out there, we found the perfect venue for you! 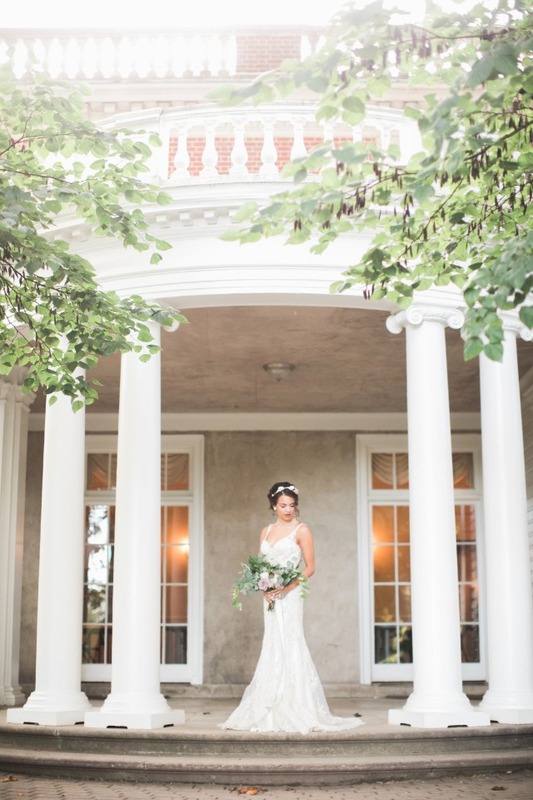 The Woodend Sanctuary in Chevy Chase, Maryland is a gorgeous property that also features a historic mansion. 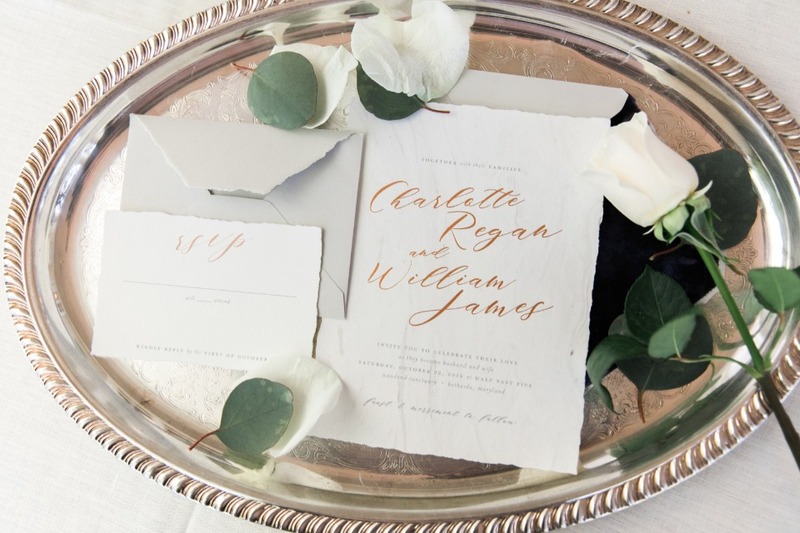 It's the perfect mix of earthy glam that inspired this beautiful shoot from Sarah Kazemburg Events + Styling. 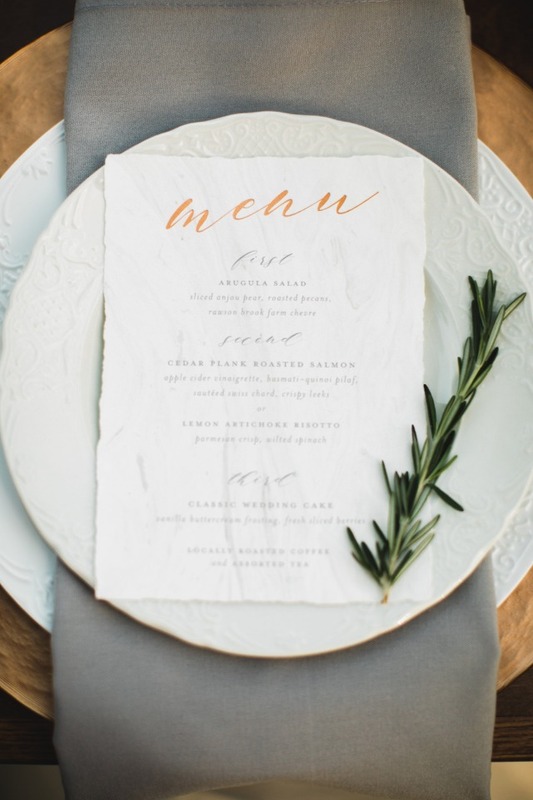 A gorgeous marble cake and the prettiest bride-to-be are just a few of our favorite details! 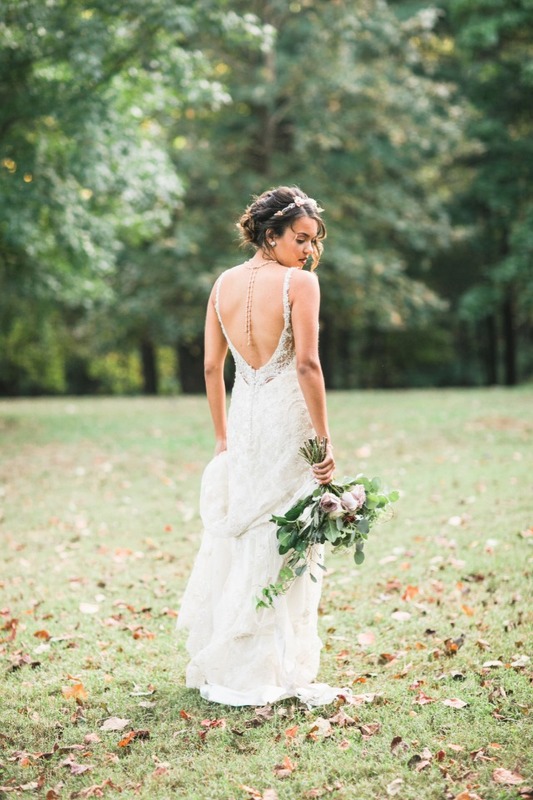 Keep scrolling to see the rest of this romantic shoot unfold. Also be sure to swing by the full gallery after to see every last detail captured by Dani Leigh Photography. 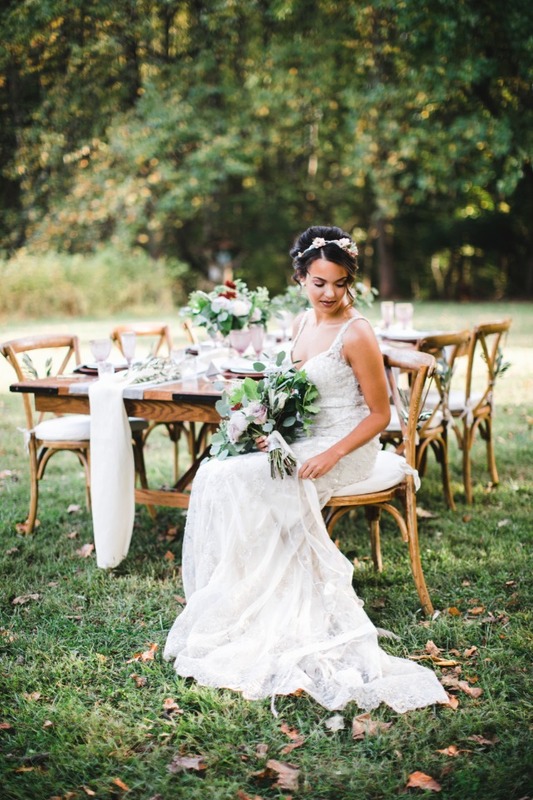 From Sarah Kazemburg Events + Styling: The inspiration for this shoot began with my love of the outdoors and especially weddings that take place in nature-driven venues. 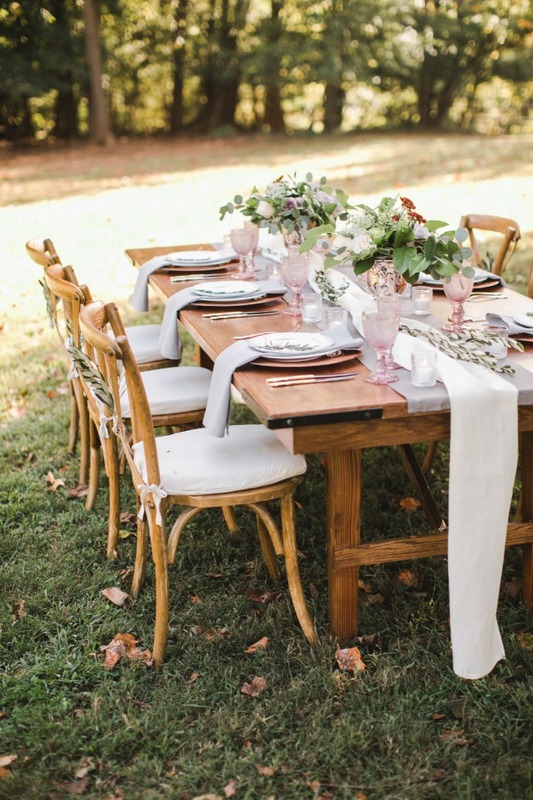 To me, there is just something incredibly romantic and magical about fresh air, candlelight, and the sound of trees in the breeze during a wedding. 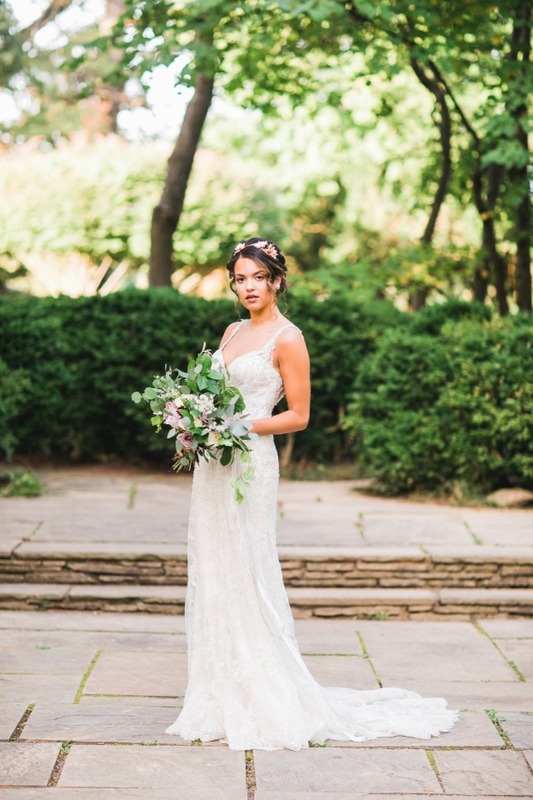 When you think of weddings in our nation's capital, you usually picture a grand ballroom or historic hotel reception, but this city has some hidden gems for those looking for something outside the norm. Once I visited Woodend Sanctuary in Chevy Chase, Maryland, I knew it was the perfect location to bring this vision to life. 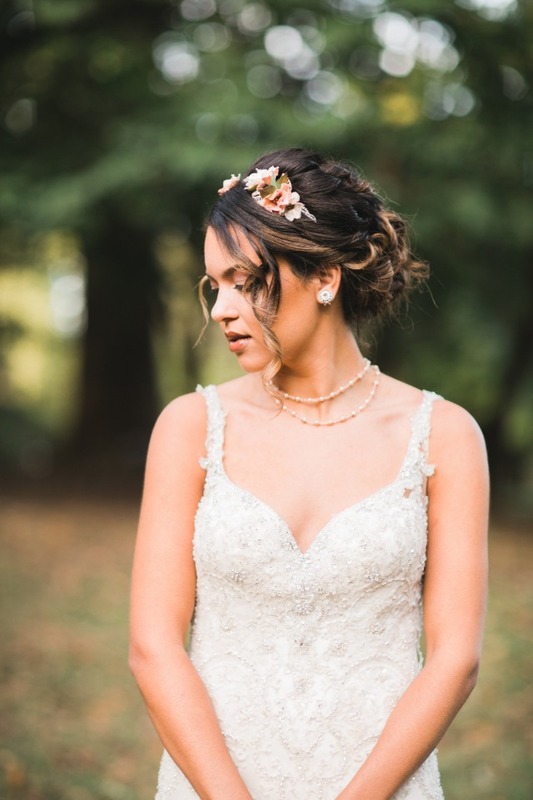 The bride wore an ivory beaded lace gown topped with a delicate floral headpiece from Couture by Posh Bridal, which created an effortless, balanced look. 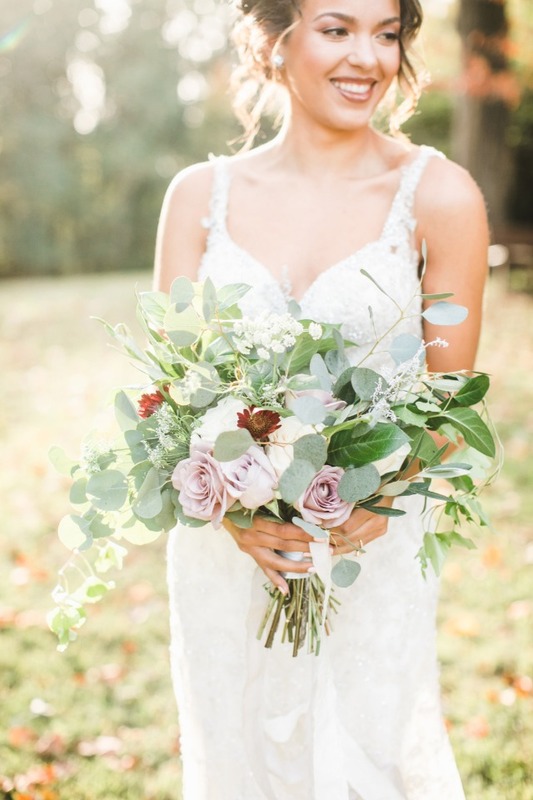 Once all the elements came together, the results were more amazing than I had envisioned, with Dani Leigh Photography capturing every intentional detail. 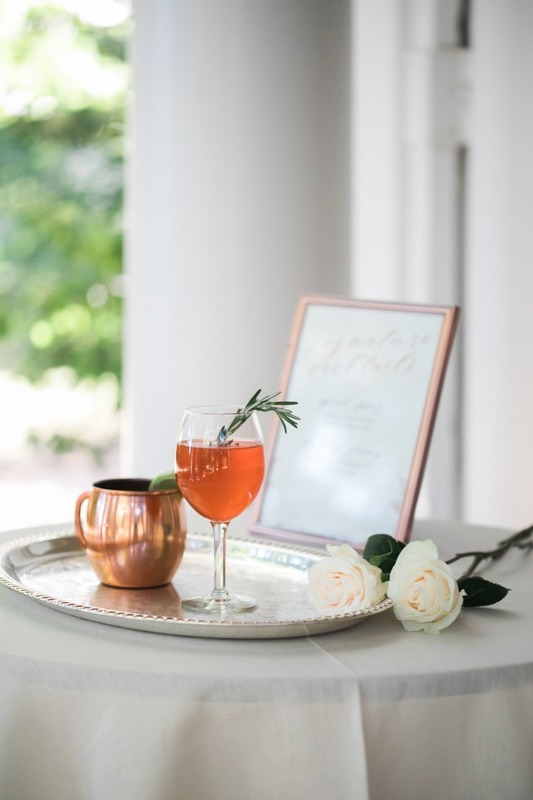 I wanted to create something fresh and inspiring for brides-to-be who are set on an organic setting for their wedding, but still desire that unique wow-factor. The design for the shoot consisted of a palette with shades of grey, mauve, dusty rose, purple-grey, cream and copper. 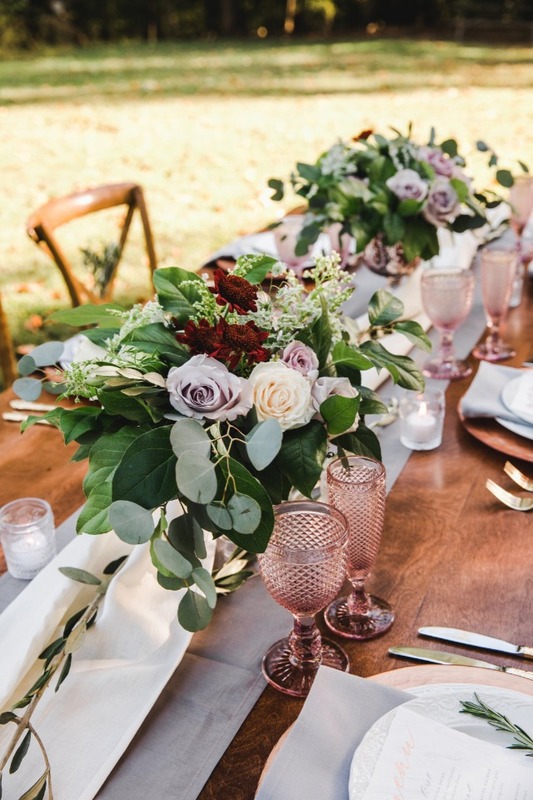 We created the table scape on a farm table adorned with cream and pewter runners, copper chargers, white textured china and gorgeous tinted glassware to tie in the floral centerpiece designs. Plenty of lush greenery topped the table to add to the natural beauty of the design. 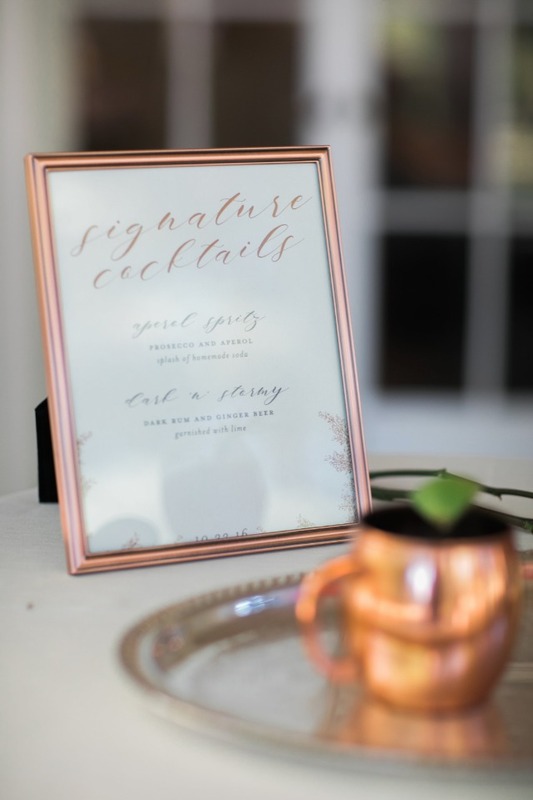 I worked with stationary designer Megan Lipkey Kenny of Ruby the Fox to create a marbled invitation suite and menu cards with copper foil, which fit in perfectly to the earthy-yet-glam elements. Opening the invitation, guests would receive a delightful surprise to see the stunning purple velvet envelope liner. 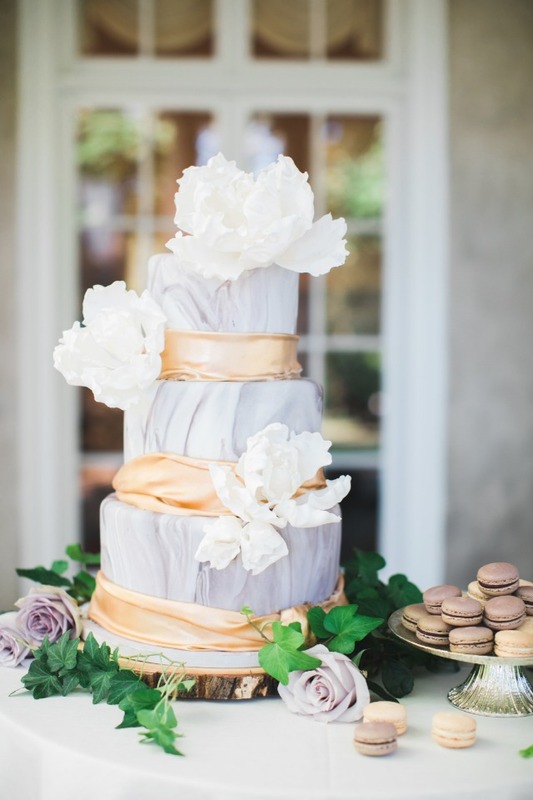 We tied in the marble design to the wedding cake made by Catherine George Cakes, which featured purple and white marbled tiers, copper sugar ribbon and amazing statement sugar flowers. Rentals and Transportation Party Rental Ltd.